Paray-le-Monial is a town in the Saône-et-Loire, situated some 80 kilometres west-north-west of Macon. 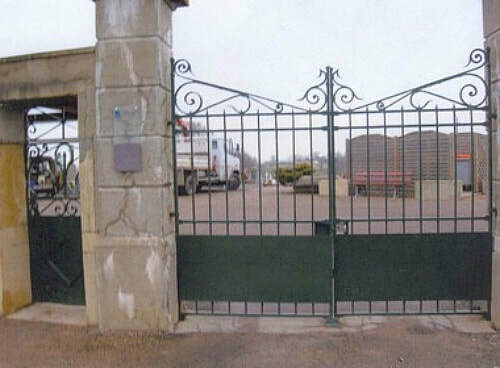 There are two burials of the Great War buried in the Communal Cemetery which is located the North-East of the town. L/2643 Steward 2nd Class Thomas Gooderson, H. M. S. Pembroke, Royal Navy, died 23rd October 1918, aged 24. Son of Thomas Gooderson, of Church Lane, Marham, King's Lynn Norfolk. 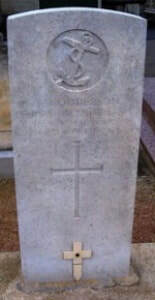 105655 Private Stanley Tomlinson, Royal Army Medical Corps, died 8th April 1919, aged 29. 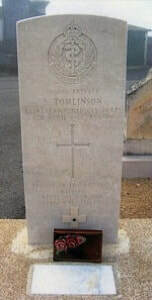 Son of Robert Bridge Tomlinson and Sarah Alice Tomlinson, of Turton, Bolton. INSCRIPTION. FATHER IN THY GRACIOUS KEEPING LEAVE WE NOW OUR LOVED ONE SLEEPING.